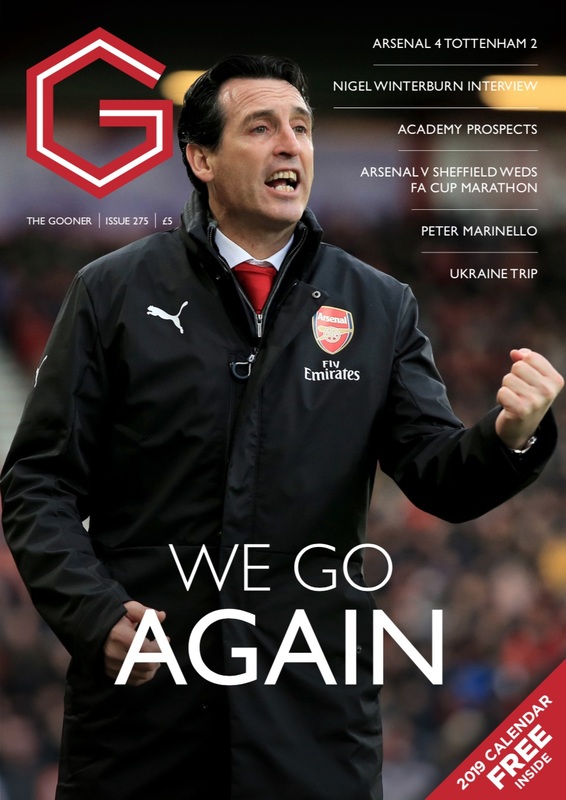 The Gooner issue 273 is another issue of the Arsenal fanzine which mixes current and nostalgic articles, the former reflecting on the first weeks of Unai Emery’s opening season at the club. 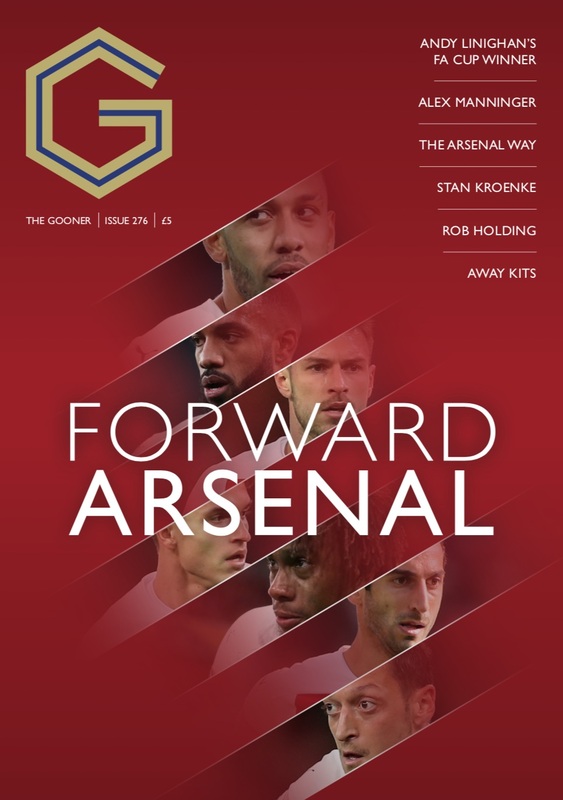 With topical matters in mind, there are articles on Emery’s style of football, and the argument that he needs to sign a left winger. There is a feature on the implications of Stan Kroenke taking over the club. 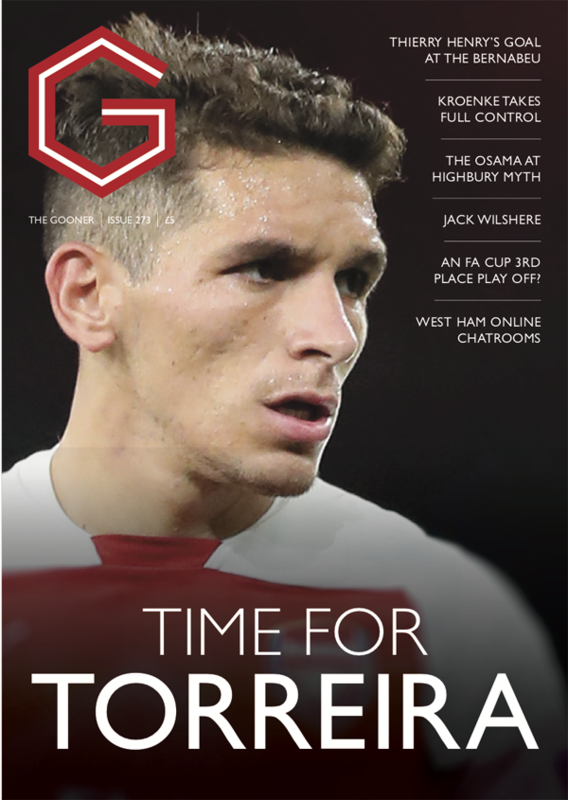 For each first team match played, we have a ‘Talking Point’ feature, and other topics covered include the controversial ‘Visit Rwanda’ sleeve sponsorship, players in the final year of their deal and the positives of the Europa League. 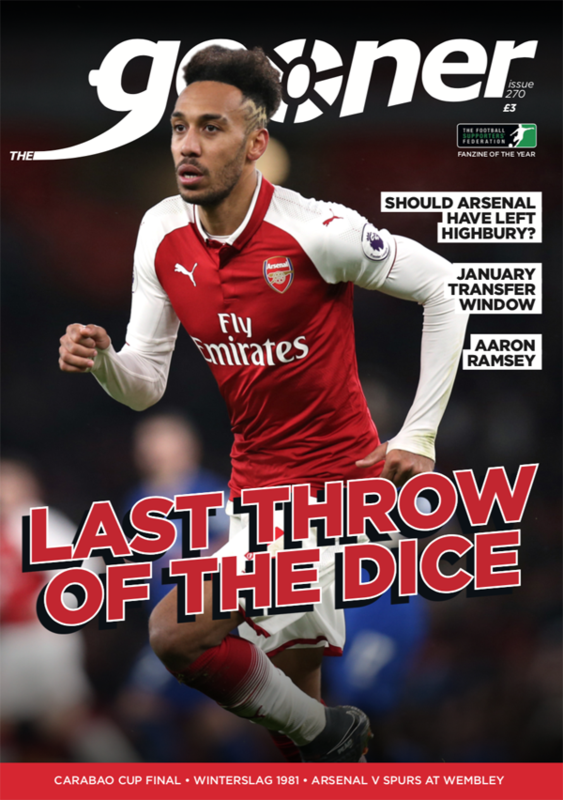 There’s a piece bemoaning the departure of Jack Wilshere and an ‘In the Away End’ with a visit to West Ham chatrooms during their recent match at the Emirates. Regular columnists The Spy and Mickey Cannon, the Talking Reds editorial, Well Played / Pain In The Arse! and a four page ‘Up the Arse!’mini-section are also included. Retro-wise, we have articles confirming Osama Bin Laden did actually attend a match at Highbury in 1994, Arsenal taking part in a third place FA Cup play off match, Thierry Henry’s memorable goal against Real Madrid in the Bernabeu, and 1930s legend Alex James. 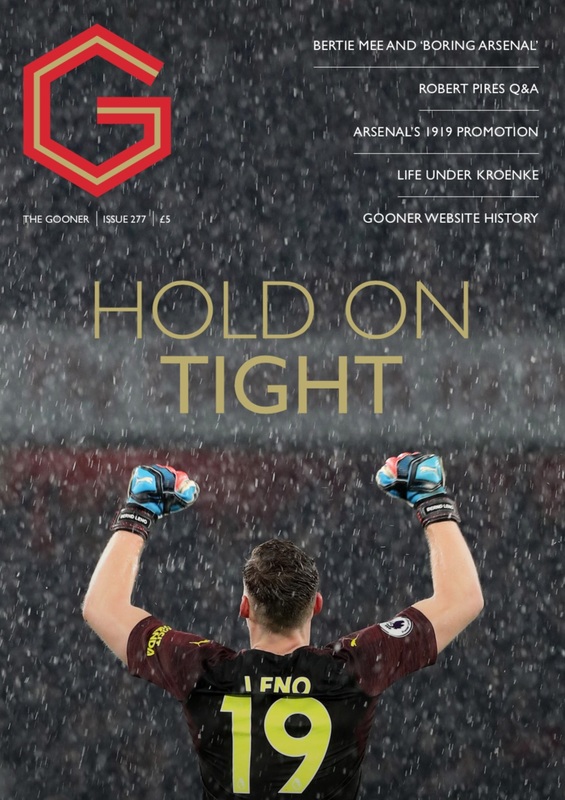 There are also pieces on how one fan came to be an Arsenal supporter after meeting Cassius Clay, and part two of our interview with 1980s Gunner Ian Allinson. Plenty to read in our newly expanded 68 page format. 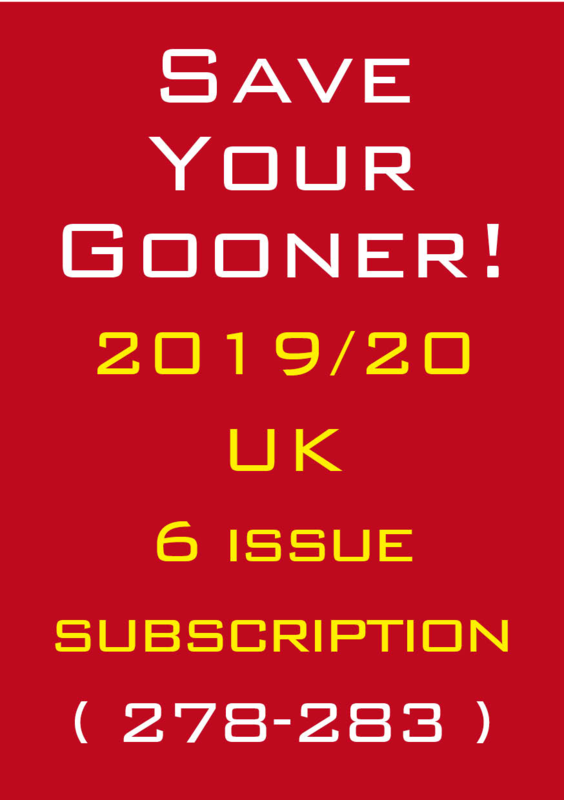 Please use the reference ‘273YourSurname’ on the payment – eg ‘273Smith’ and follow up the payment with an email to thegoonerfanzine@btinternet.com stating your name and address, and the reference that you used for payment (e.g. 273Smith or whatever). 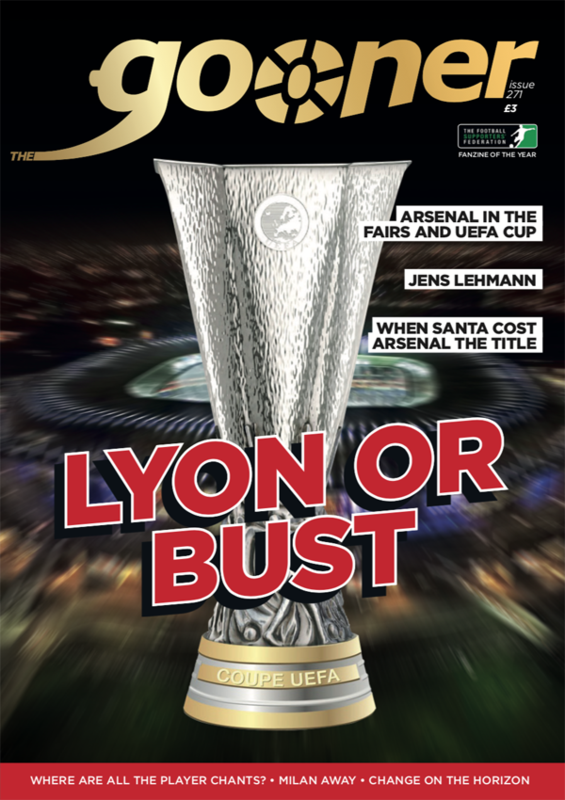 Via direct PayPal payment to the email address thegoonerfanzine@bt internet.com. Pay either £7.50 and state in the message you are requesting issue 273 (although we’ll assume this if there is no message from the amount paid). If doing this, please make your payment a 'friends and family' / personal gift payment – this helps keep our costs down.